He’s since hired me again and is continually impressed with how much of a positive effect my services have on his working life. As a freelance video and audio producer, Steve works directly with businesses to develop strategic content that gets attention. He’s worked with a range of internationally recognisable clients, including the BBC, Disney and M&S, as well as plenty of SMEs around the world. Steve and I connected through a Twitter chat and, as a fellow freelancer, I have since become hooked on his weekly podcast, Being Freelance. Being the busy man that he is, Steve can often find himself overrun with admin work. He’d been playing around with the idea of hiring a Virtual Assistant for a while, realising that an extra pair of hands would come in handy but not quite knowing how best to use them. That’s where I came in. Steve emailed me to ask if I could help and I got back to him shortly after to iron out the details. I advised him of my rates and sent him a contract, both of which he found fair and easy to work with. Once all of that was sorted, I completed Steve’s task the very next morning. Outsourcing this type of task has allowed Steve to focus more on the stuff he’s best at. Having an extra pair of hands when the work is building up means he can move more quickly and is able to achieve more each day. When it comes to handling the admin, most freelancers and business owners recognise that their time could be best served elsewhere. Like Steve, many of us have considered outsourcing but we’re just not sure where to start. We know what we’re good at and what we enjoy, and we know which tasks slow us down and stop us from achieving our full potential. But are those tasks something that a Virtual Assistant could handle? 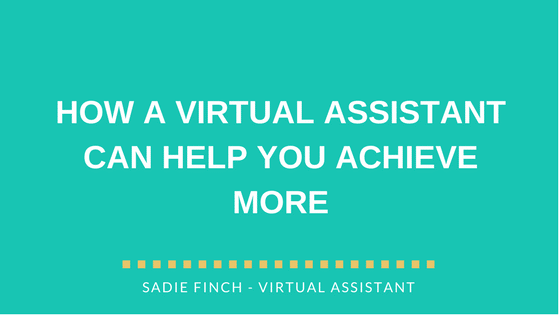 What does a Virtual Assistant even do? How do they work and what services do they offer? If you’re keen to have a go at delegating but you’re not sure where to start, check out this handy exercise for deciding what and how to delegate to a Virtual Assistant. Or if, like Steve, you’ve hit your breakthrough moment and been landed with a big pile of admin that you just haven’t got time to handle, get in touch with me today.